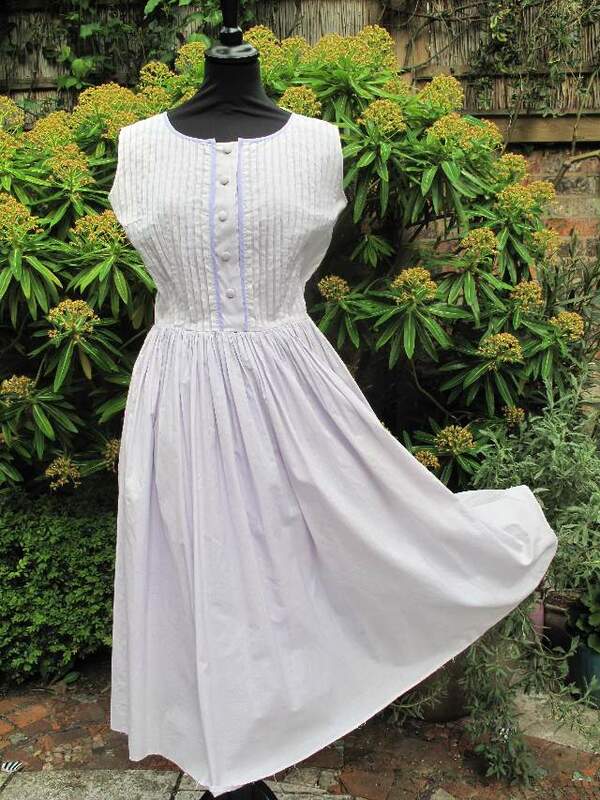 1950's Swiss cotton lilac summer vintage day dress. Label; Made In Switzerland expressly for Harrods. The dress is made in a very high quality cotton lawn in a very soft lilac, trimmed with a lavendar binding. 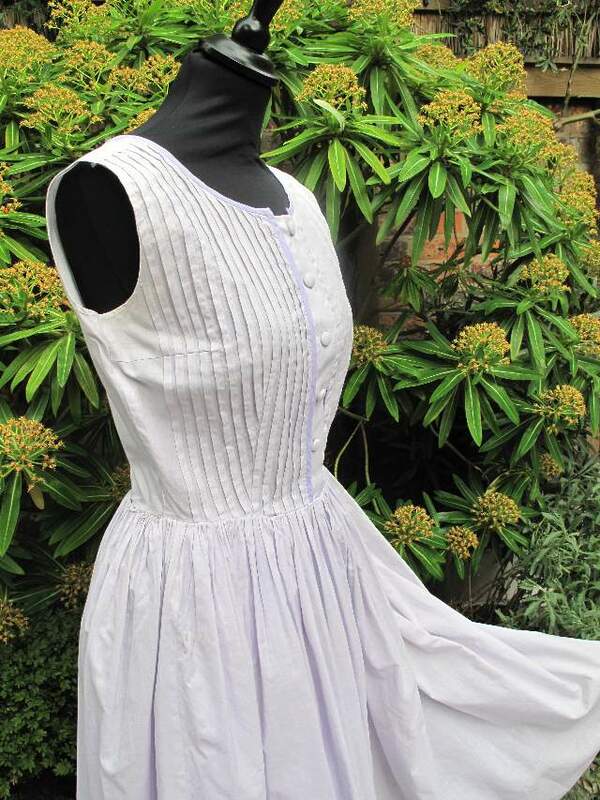 The bodice is sleeveless, with a round neck and is completely covered in fine pin tuck details and front fastening with covered buttons. 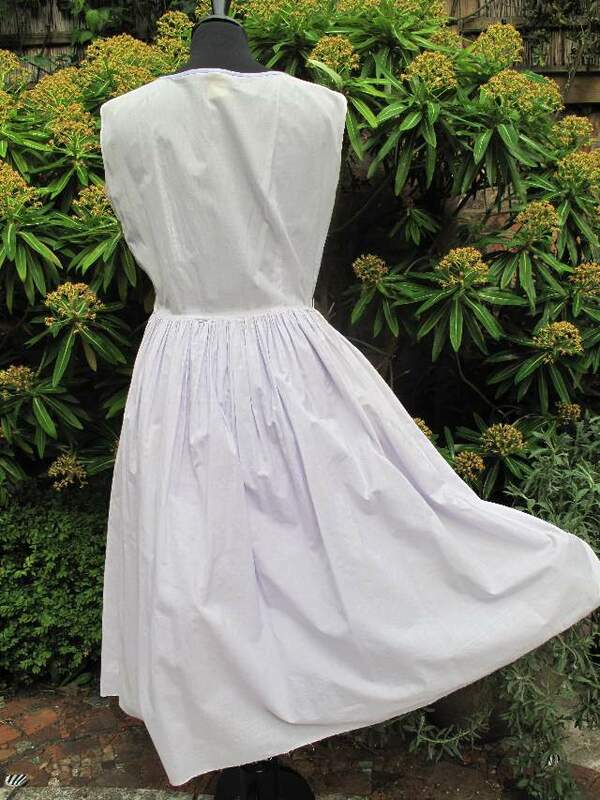 The 3/4 length skirt is very full and gathered, with an acetate lining. 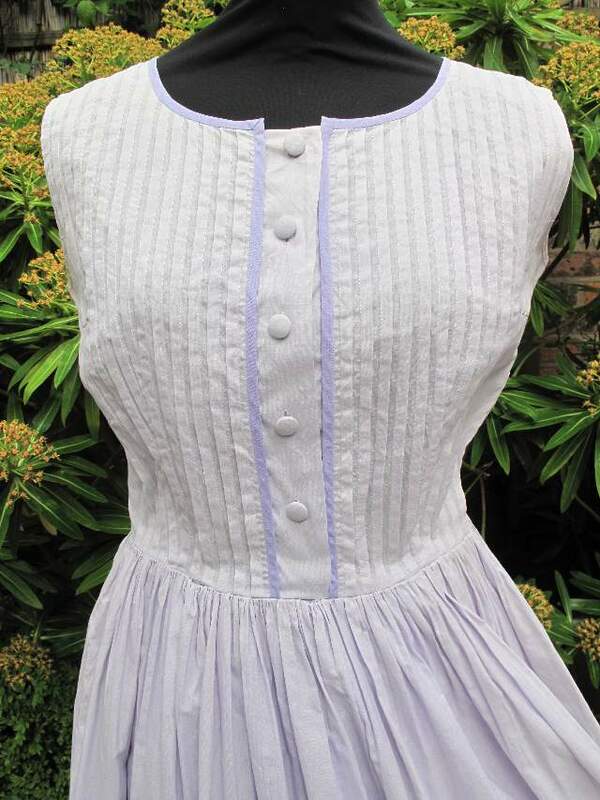 A lovely cool, cotton piece.